The Shire London – TSG Course Review…. For all the media training players get these days, it’s no wonder that some of today’s tour players can come across as both drilled and bland when interviewed. However, for those that grew up in the seventies and eighties with the likes of Lee Trevino, Gary Player, Fuzzy Zoeller and Payne Stewart. All these guys came with a large dose of personality, the man that stand above all these great players is the one and only Seve Ballesteros. The man not only had a cavalier approach to the game but also received one the rarest accolades in sport, by being known by one name only….Seve! Not only was he was full of charm and good humour in front of the cameras but his approach to the game was both exciting and creative. So when the opportunity to play at the ONLY golf course in the UK designed by the late, great man, we jumped at the chance! 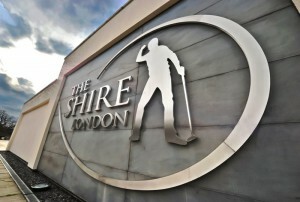 The location of The Shire London could not be more convenient for nomadic golfers. You leave junction 23 on the M25 and head down the A1081 for no more than a mile or two, you’ll be met at the entrance by a modern statue of the man. 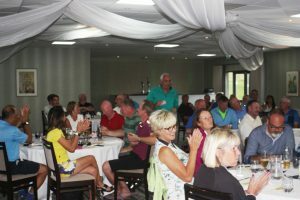 The Clubhouse is modern and comfortable with a mix of tables and sofas that offer you a great chance to relax and enjoy a breakfast or lunch before heading out on the course. 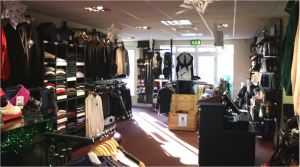 Inside there is also a Gym (for members only) and a well-stocked shop with plenty of Seve branded goods to purchase. We were met by a very smiley Tom, who was quick to show us where everything was and was keen to take the time to chat with us. 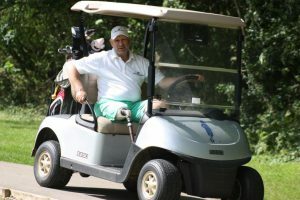 This is something many lesser clubs could learn from, as it not only leaves a lasting impression but it also makes the visiting golfer enjoy their day more. 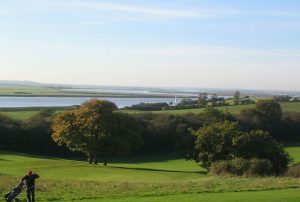 In early 2000, the Menai-Davis family invited Seve to visit the UK to take a look at a large piece of land north of London, on which they wanted to create a new unique style golf course. 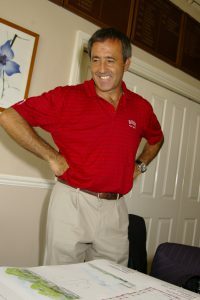 In 2001, just 72 hours after Seve’s first visit, a deal was agreed. Soon afterwards, the Spanish legend and his team set about creating what would become known as The Shire London. Over the next five years, the ground was developed into the 18-hole Ballesteros ‘Masters Course’ and the 9-hole Ballesteros ‘Academy Course’. Seve visited the site regularly in person throughout the build, making himself available constantly to answer questions regarding the design and build process, until the project’s completion in 2006. 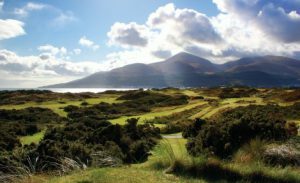 During this period, the Menai-Davis family worked on the Clubhouse and infrastructure with the key ambition to make members, their guests and other visitors feel comfortable, relaxed, welcomed without any of the stuffy formality which characterised other golf clubs in the area. The Course also boasts a small six bay driving range meaning everything is catered for! 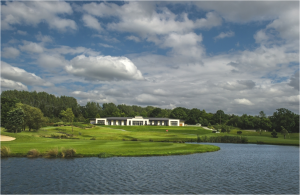 On 2nd July 2007, The Shire London opened for green fees, having held a member’s weekend a month earlier. 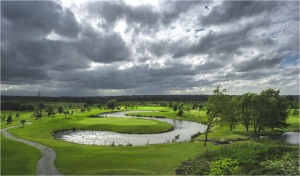 Later, events would mean that tragically, The Shire London will forever remain Severiano Ballesteros’ one and only golf course design in the UK. So the first thing you notice on the card as you make your way to the first tee is that this is like no other course you’ve been too. Yes, it was Seve’s insistence that there should be an even mix of par threes, fours and fives, and that no two consecutive holes should play to the same par…. and it works! The first hole starts with a pretty Par 3 to ease you into your round but note, you are playing across water. Just the first of 14th holes on the course that include water in their layout. You’ve been warned. The holes then rotate with a Par 4, Par 5 returning to a Par 3 again, and so on. Surprisingly, this doesn’t break your flow, but actually, compliments ts your play. Of course, the tee boxes are perfect. Of course, the greens are as good as you play anywhere in the area. And yes, the rough is long, forcing you to play the kind of shot Seve would want you to. Hole 13 – A short tee shot to the turn and long 3 wood, gives you a birdie chance but go long off the tee and you’ll be in trouble. Hole 15 – An ascending fairway with a right dog-leg that invites you to hit an expansive flat green. Another birdie opportunity. 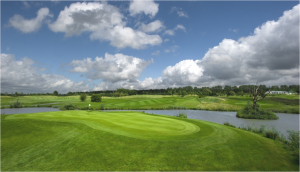 Hole 18 – A good drive on this 365 yard Par 4 will tempt you to go for the green….but beware of the ‘S’ shaped water feature, as you’ll need to be pinpoint accurate if you want to avoid a bogey. This hole provides a superb vista for those watching you finish in the clubhouse. 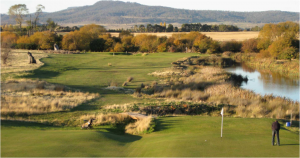 Seve clearly enjoyed designing golf course after his retirement from the game and although I am sure he would have preferred to have continued playing, this course allows his name to live on for generations. We are very lucky to have this memory of him! 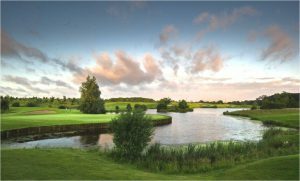 The Shire London Golf Club – Green Fees…. Prices below are valid from May 1st 2017 to October 31st 2017. Call 020 8441 7649 or 0208 440 4009. 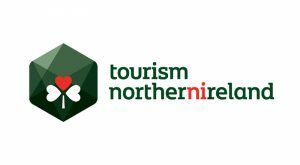 – Bookable up to 7 days in advance. Please Click Here for our current Special Offers. With much to enjoy as you make your way around the course, you will have to be having a very bad day if you don’t enjoy this course. And you can’t help thinking that the great man is enjoying watching you test your skills on ‘his’ stage. Given the course is still only a decade old, I can see the trees maturing well as they provided a great backdrop for the course. One tiny criticism, as with most members clubs, there is limited signage between holes, something paramount for the visiting golfer. However, this is not something that will cause you too many problems, as the scorecard has a useful map on the back. 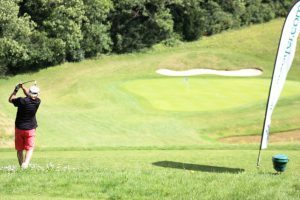 Overall, we like this course, you will be hard pushed to find a friendlier, more challenging, and of course more iconic golf course in the whole of the South East. If you get a chance to visit this course, either on a corporate day or for social golf, do….this is a course that all TSGers will enjoy! First thing that gets mentioned when people think of Sicily is the Mafia, quickly followed by the movie The Godfather, aka Al Pacino and Marlon Brando… however, when it comes to golfing in Sicily, all the talk is about the Verdura Resort! And for those that have visited this ancient Mediterranean island, the discussion refers to beautiful coastlines, a temperate climate and the passionate locals – who’s love of fresh food and excellent wines are second to none. The infamous island of Sicily is found just off the South West coast of Italy’s mainland. At its closest point it is less than 10 miles, however, the locals see themselves as very different from their mainland cousins. Famous for its volcano (Etna), the rock that stands tall in the heart of the Mediterranean. 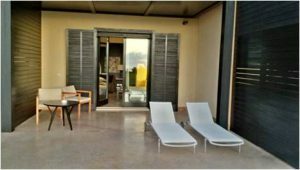 The resort is located on the southern coast of Sicily between Agrigento and the fishing city of Sciacca, a 80-minute drive from Trapani and Palermo airports. 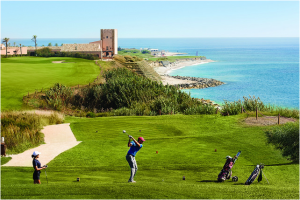 Since opening in 2009, Verdura Resort, a Rocco Forte hotel has quickly established itself amongst Europe’s premier contemporary luxury golf and lifestyle destinations. 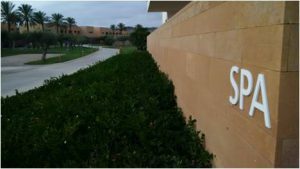 The resort is set in 230 hectares of stunning landscape with 1.8km of private coastline, and offers golfing guests and families a very modern five-star experience. Verdura features 203 rooms and suites, all with sea view, and is built with the golfer in mind. 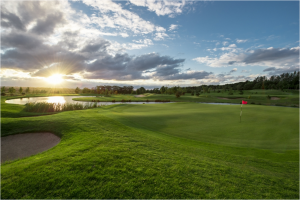 Golfers can enjoy the two 18-hole championship courses and a nine-hole par-three course, all designed by world-renowned golf architect Kyle Phillips and playable all-year-round. 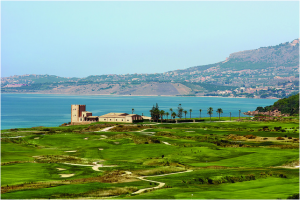 Verdura was the host venue for the European Tour’s 2012 Sicilian Open and its three links-style layouts have been built to the highest specifications. 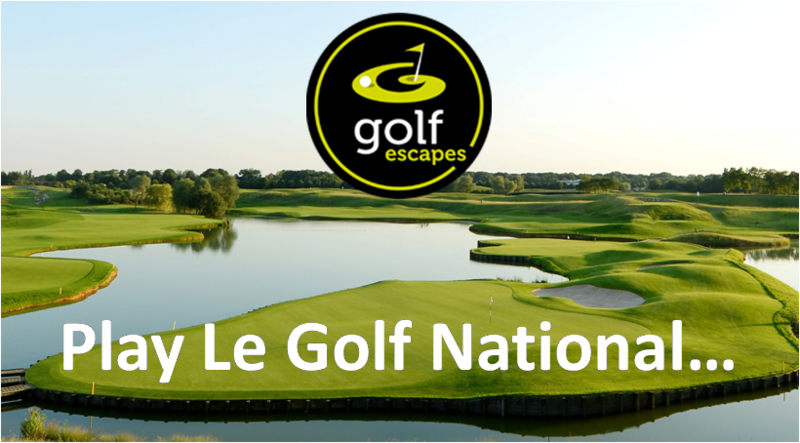 The resort’s Par 72 East Course is ranked as one of the finest in continental Europe. While the West Course (also Par 72) provides the ideal complement and features one of the most memorable finishes anywhere in the world, with the final four holes set alongside the Mediterranean. 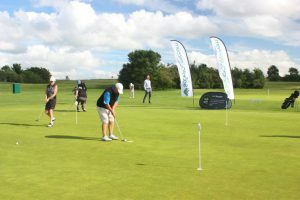 The courses are also supported by an on resort golf academy. There is even a Par 3 course which is more than a good test, even for the seasoned Pro. Verdura’s other sports facilities include six tennis courts; a 60m two-tiered infinity pool; numerous watersports, one football pitch, fully-equipped gym and a collection of running trails through olive and lemon groves. The resort’s award-winning 4,000sqm SPA complex includes 11 treatment rooms, gym, yoga studio, a 25-metre indoor lap pool, four outdoor Thalassotherapy pools, a double-height steam room, male and female saunas and a SPA bar for healthy alternatives. Guests can sample an authentic taste of traditional Sicily with an array of dishes at one of the resort’s four restaurants and five bars – with fresh, organic produce sourced straight from Verdura’s own garden. I enjoyed beautifully cooked steaks and marinated Tuna salads, all with the lashings of Olive Oil made on site. 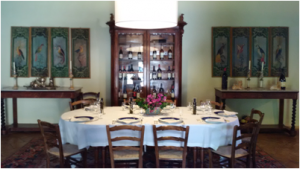 You can even have Sicilian cooking lessons, which I did and managed to surprise my playing partners and even myself with a fine attempt at the local pasta dish – Pasta Alla Norma! Verdura Resort has received widespread international recognition and won numerous awards since opening. 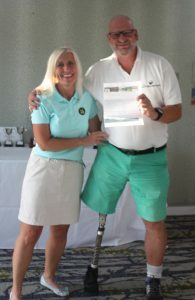 Among its most recent honours, it was ranked fourth in Golf World’s inaugural list of the ‘Top 100 Golf Resorts in Continental Europe’ and named by Golf Digest as a recipient of an ‘Editors’ Choice Award’ for Best International Resorts 2016. Verdura Resort fuses strong, modernist, environmentally-sensitive architecture with design that is firmly rooted in Sicilian culture and inspired by this superb setting. In keeping with the raw, rugged scenery beyond the property, the architect, Flavio Albanese of Vicenza and Palermo, applied minimalist, contemporary lines to the construction of Verdura‟s accommodation, spa, restaurants and outdoor entertainment arena. In fact, one of the things you first notice is how low rise everything is. Rooms are generous and simply designed and each room is self-contained in such a way that you would be forgiven if you thought you were the only people staying. On numerous occasions we remarked on the peace and quiet to be found around the resort. This is complimented by the common use of b ikes by all the visitors, thus keeping down noise. Each room has a private terrace with views of both the sea and the golf courses, the orange, lemon and olive groves, to the mountains in the distance. In addition, Verdura Resort has green credentials at the heart of its design. In 2014, in collaboration with the Botany Department of Palermo University, they committed to the creation and naturalization of wetlands, which are a stopping point for migratory birds and nestling waterfowl. The first tee on the East course is a 360 yard dog-legged Par 4 right with bunkers positioned on either side of the fairway at the turn. By all means take on the pin with a high fade leaving you a short iron in to the raised green but over cook it and you’ll find yourself heading back to the tee. This hole sets the tone for the rest of your round. 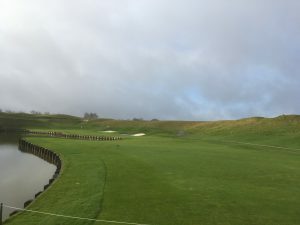 The front nine is mostly flat‎ but their are many undulations and protected greens that mean accuracy (not length) and patience is required to score well. The signature holes going out are the challenging 450 yard Par 4 with a tee required to clear water and your second needing to avoid the 30 yard turfed gully protecting the raised green over looking the sea. This quickly followed by the Par 3 6th, a 110 yard hole with the green surround by the pebbled beach of the ‎south Sicily coastline. A flat circular green rewards the brave but you will find this a tough if a sea breeze is prevailing. Finally, I’ll tip my cap to the Par 4 7th but only as a piece of unashamed self-indulgence, as this hole produced the greatest golf shot of my golf life. The beginning of the back nine almost mirrors the starting hole only this time it’s a dog-leg par 4 and your turning left. Following this, the course opens up. Expansive fairways, soft sand filled bunkers, a challenging Par 3’s (200+ yards uphill) but more chances to get a few pars on your card. Holes 13, 14 and 15 lined by orange trees and sumptuous fairways all test the mid handicapper but once again it’s the 125 yard Par 3‎ where a Mediterranean sea backdrop stays in the memory. The 17th and 18th also fail to disappoint. The penultimate, a 400 yard Par 4, framed by roughly terrained hilltop shadowing the green. The last, a 430 yard Par 4 that suggests a low fade but don’t cut it or you’ll be in the deep blue. The course finishes back at the rusty orange fort like clubhouse with a wide a sloping green that is asking to be birdied. A comfortable and relaxed four hour round, a beautiful sunset, followed by some excellent local pasta. Bellissimo! Here you start your round by heading away from the shore inland. The 1st hole is a 495 yard Par 5 that slowly bears left for your approach shot. The green has a gentle incline moving from front to back meaning you can’t leave it short or you’ll be making bogey. The stand out holes on this course are evenly spread but the 4th hole (also a Par 5) is a delight. Fairway bunkers to the right suggest staying on the left is the sensible option and a well placed second shot (again left) should leave you with a simple putt up the apron of the green to an immense green. However, if you’re at the front, and the pin is at the back, you could find yourself with a 40ft putt, this course clearly needs some strategy. Quickly followed by the 5th, a very challenging Par 4 with a 30ft drop in the middle of the fairway and up again, to the raised green. 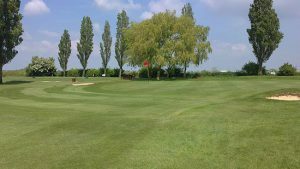 ‎As you head back south, the superb 424 yard Par 4 8th will invite you take on the green but be prepared to lay up and putt your way up to the elevated green the accept the bogey, as a wayward shot will leave you in the left side bunker with 8ft face to overcome. Go long and you could find yourself on the beach earlier in the day than you’d planned. As the heat of the day builds and given this course can be attacked by some strong winds (it is a links course after all) it’s important to keep abreast with speed of the greens. They can vary in pace greatly‎. As you pass the turn‎ hole 11 offers you a chance to open your shoulders and crack your best drive down a 511 yard fairway downhill. The right side is a wall of reeds for the first 250 yards so stay left. Two good shots are then needed as the green stand guarded by mogul like mounds. If you make Par, you’ve done well. 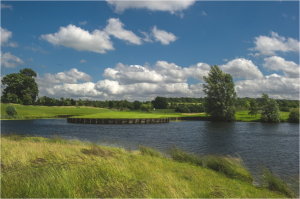 As you reach the end of your round, you are then met by arguably three of the best placed finishing holes in Europe. 15, 16, 17 and 18, are all flanked by the rocky coastline, you are challenged by a two shortest Par 3’s and two longish Par 4’s – the last finishing right underneath the clubhouse terrace where many enjoying a chilled beer or more likely a cocktail will clap you in. 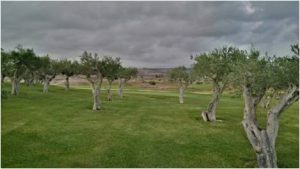 Golfing in Sicily is not the only pastime and on any golfing holiday, it’s important to go beyond the fairways and in this instance there is plenty to see and do locally. 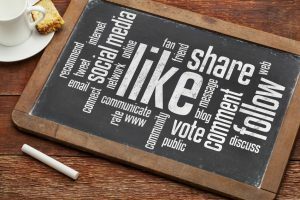 Whether it’s visiting the ancient caves (Greek Temples dating back to 12,000 BC) in Syracuse or the regional wineries, which is a very pleasant way to spend an afternoon, tasting and appreciating the local vine culture. We visited the much awarded Planeta winery in nearby Menfi, less than an hour from Verdura. 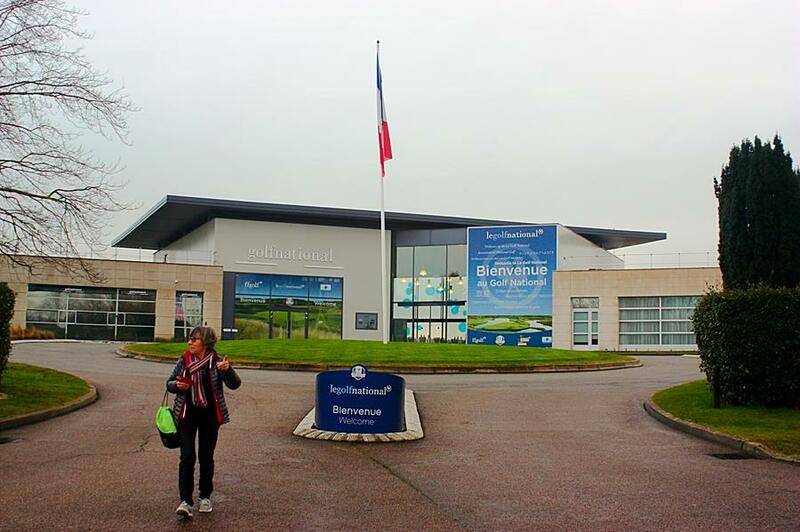 This is truly fantastic place to visit and perfect for golfers of all levels. 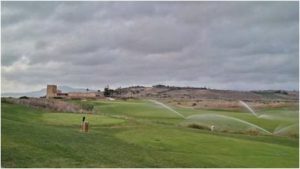 If someone offers to take you to the golfing in Sicily at the Verdura Resort, to paraphrase Mr.Pacino and Mr.Brando …. it’s an offer you can’t refuse!!!! 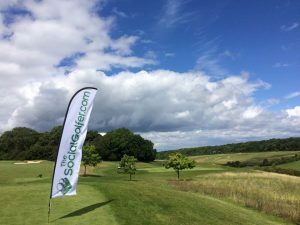 It’s always a pleasure to review new golf courses, so I felt very excited about visiting Ashdown West Golf Club at Forest Row, East Grinstead to give it the once over. 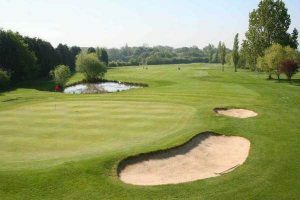 Situated only 20 minutes from the M25, the club is very accessible from all directions and is well worth visiting! Newer than its sister course, on paper you could be forgiven for assuming Ashdown West Golf Club is the “poor relation” to the “Old Course” but then you would be very much mistaken. We arrived at lunchtime and met at the West Course clubhouse, a 2004 extension to the main clubhouse, but by no means overshadowed. A short walk upstairs led to a bar area that was pleasant and very welcoming with two outside terraces that overlooked the 1st tee & 18th green and the range. We ordered sandwiches from the lady at the bar (who was very nice indeed); the sandwiches were plentiful, attractive to the eye and, most important, very tasty. If the rest of the menu reached these standards, which I’m sure they do, then, no one will be disappointed with their choices. A quick visit to the well-stocked pro shop to collect our cards from the young Pro (they’re all younger than me these days!) 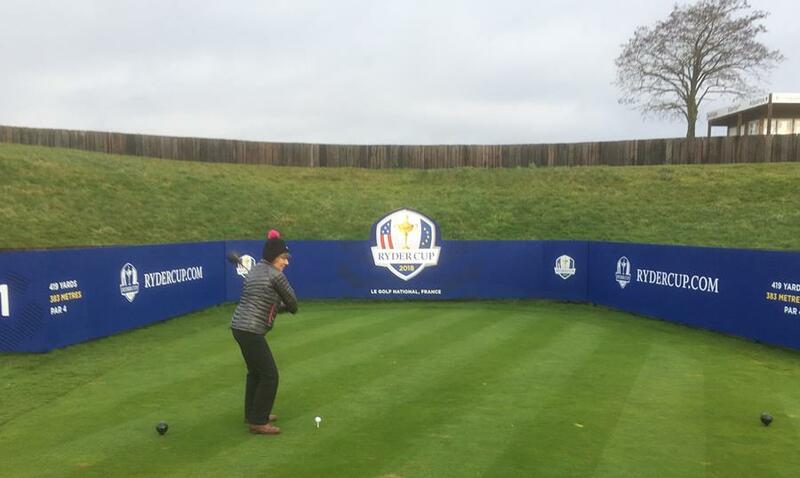 a quick practice on the driving range and at the chipping area, and we were on our way. Founded in 1888, the Old Clubhouse was built five years later and parts of it still remain remarkably unchanged today. The bestowal of the title “Royal” came in 1893 after a visit from the then Duke of Cambridge. 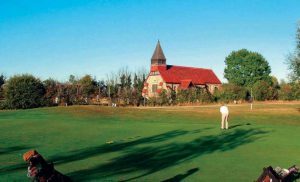 Very few golf clubs boast two 18-hole courses, both over 100 years old, especially those that differ as much as the Ashdown West and the Old Course. Ashdown West snakes its way through the heart of the Ashdown Forest that spreads for over 20 square miles in this most beautiful part of Sussex. The ‘West’ was once the longest ladies’ golf club in England. 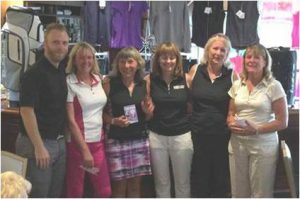 It was originally founded as the Ashdown Forest & Tunbridge Wells Ladies Golf Club in 1889, barely six months after the formation of the main club and was only the second of its type to be formed in Great Britain, after Sunningdale Ladies. 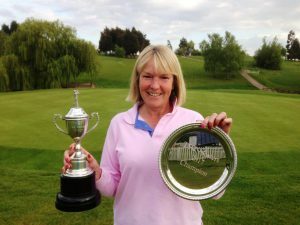 In 1932 the course was lengthened to 18 holes, the same year that the ladies’ club was awarded Royal status in own right. 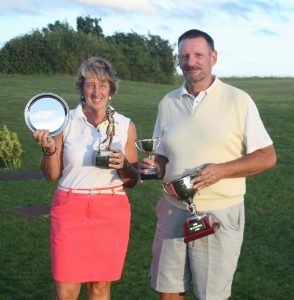 Since then it has gone through a number of alterations and now welcomes players of both sexes yet still remains of sufficient quality to be awarded Golf World magazine’s prestigious accolade as the UK’s best course under 6,000 yards. The 1st was a straight, tight, par 4, but a great opening hole to look at. The fairway and green were in great condition (all them are at West Ashdown Golf Club), even though the previous day had seen torrential downpours; you wouldn’t even have known there had been any rain here. The first six holes include the only Par 5 on the course which crosses a road mainly used walkers and some cars. However, as there were not many golfers out this afternoon, I guess that the dog walkers know this and take advantage of the fact. Whilst unusual and slightly distracting, it is public land so don’t let it put you off your game. 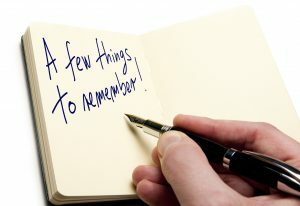 If you can accept you will see others as you make your way, then you’re in for a real treat for the rest of the round. The next six holes were tough, even though you are hitting only short irons. There are no run-up areas to the raised greens from the fairways, meaning no pitch and runs allowed here but instead having to land directly onto the greens. This was because of having very bumpy, rough, natural raised areas just in front of the greens which compensated for not having a single bunker on the course. Yes, I’ll say it again – NOT A SINGLE BUNKER ON THE COURSE! Strange, you may think, but it made the play no less challenging at all. Included in this six was the 240 yard par 3 eleventh hole. I defy any mid to high handicapper to get down in three shots, What A Hole!! 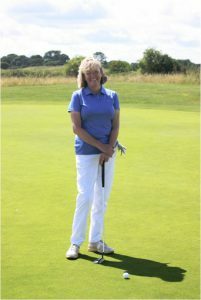 The last six holes are a real joy, beautiful views, sweeping tree lined fairways and wonderfully true but tricky greens, there was even some water to avoid. I took on the trees to the left, with my driver and managed to clear them with that familiar shape on the shot. 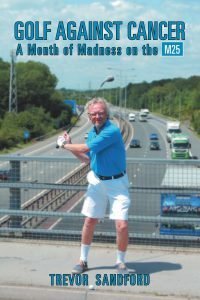 Only problem was, I couldn’t see the end result; a ramble down the fairway allayed all my fears as, there it was, in the middle of the fairway, oh happy days! There’s a beautiful downhill par 3 at the 16th which is only 122 yards, but still very tricky. It’s a dream hole to have a hole in one, you look down on the green with a brook just short, and giant oaks and pines for a backdrop. 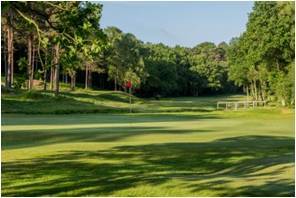 It’s a dream hole to have a hole in one, you look down on the green with a brook just short, and giant oaks and pines for a backdrop. You finish on the par 4, 435 yard 18th which has two streams running across the second half of the fairway, even if you have a great drive, take these on at your peril. You may end up in them, AS I DID!! However, why should this game always be easy? 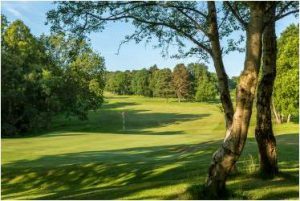 The beautiful scenery at West Ashdown Golf Club alone is enough just to pay the green fee and, if you play at the right time, you could be going round for just £20 on a lovely Summer’s afternoon with hardly anyone out there to spoil your game. I will be back many more times in the very near future!